A mother and son lost their lives following a house fire early Wednesday morning in Montgomery County, right along the Maryland and D.C. line — and there were no working smoke alarms in the house. 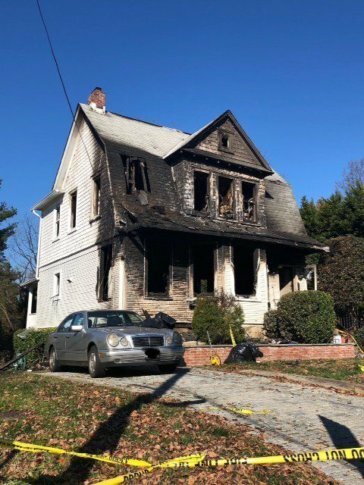 WASHINGTON — A mother and son are dead following a house fire early Wednesday morning in Montgomery County, right along the Maryland and D.C. line — and authorities say there were no working smoke alarms in the house. Fire officials are calling these the first and second residential fire fatalities of the year in the county. The names of the mother and son have not yet been released. Montgomery County Fire and Rescue Service personnel arrived at the 4900 block of Western Avenue around 1 a.m. Between 60 and 65 firefighters from Montgomery County and D.C. Fire fought the blaze. Fire Chief Scott Goldstein said a neighbor made the first call reporting the “fully involved” house fire across the street. According to officials, the mother and her son were the only two occupants of the house. The cause of the fire is still under investigation but authorities believe it started in the living room. They also said there were no working smoke alarms in the house. Estimates total $1 million in damages from the blaze. Chief Goldstein said that people should be careful about space heaters and fireplaces as those cause many house fires in the cold-weather months.